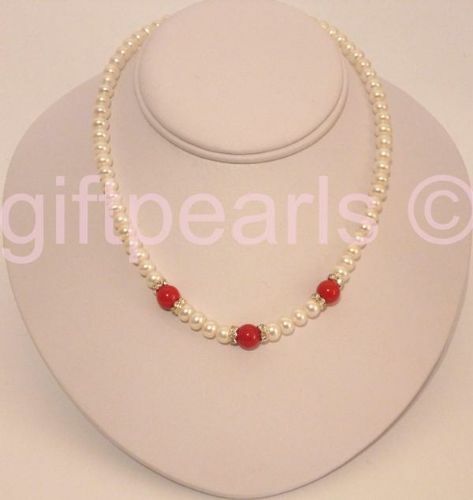 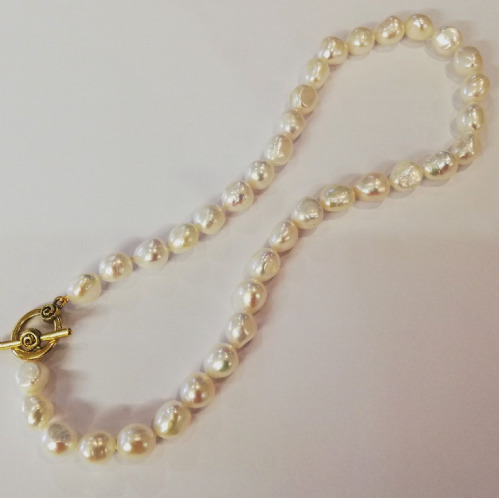 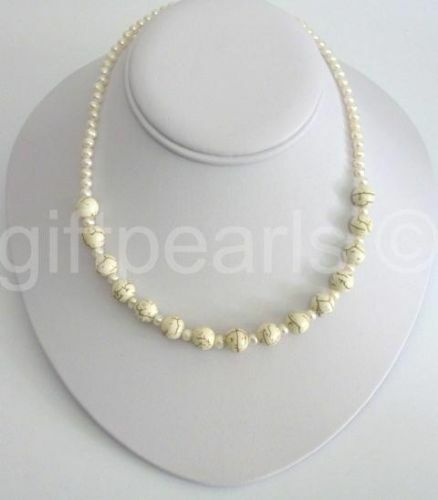 Home / Pearl Necklaces / Pearl Necklaces £40 or less. 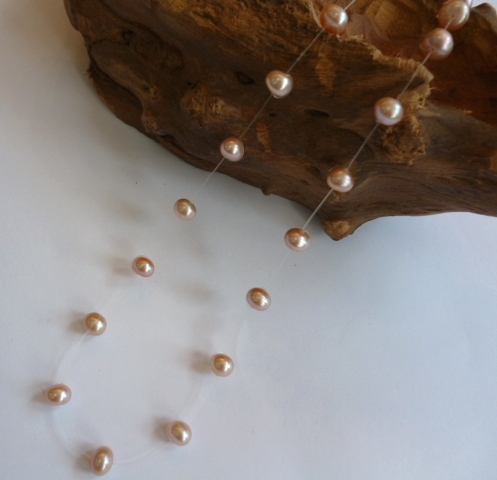 Surprise yourself! 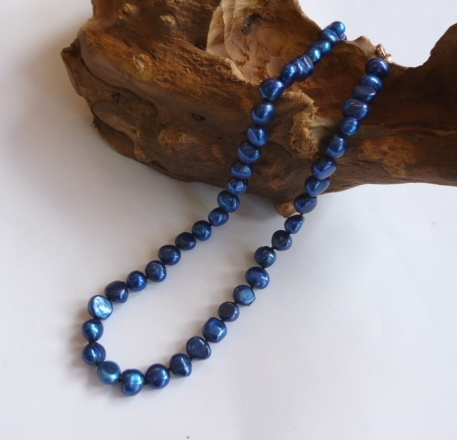 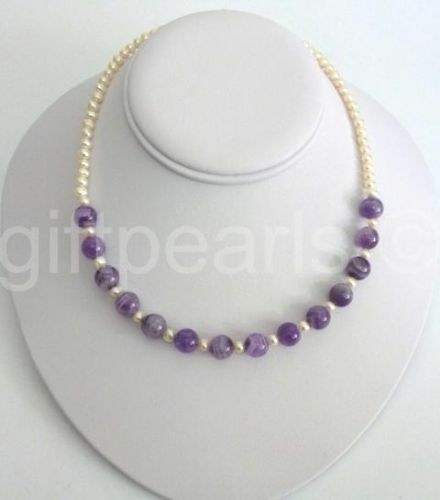 We make your jewellery in our High Street shop. 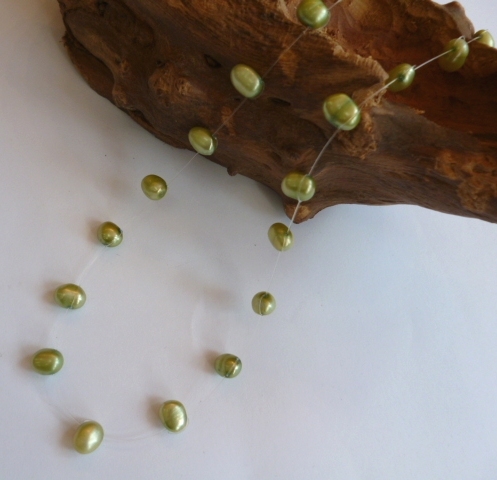 Call in or phone between 10 am and 5 pm Monday to Saturday. 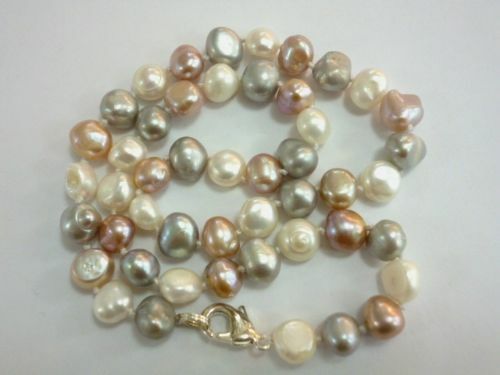 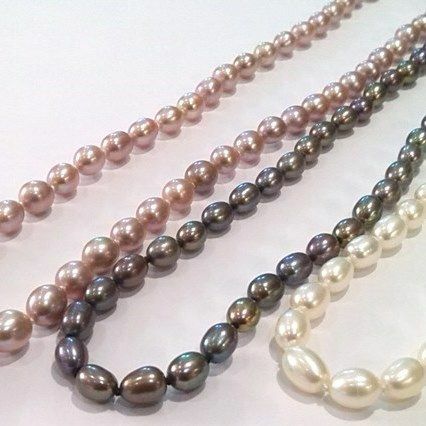 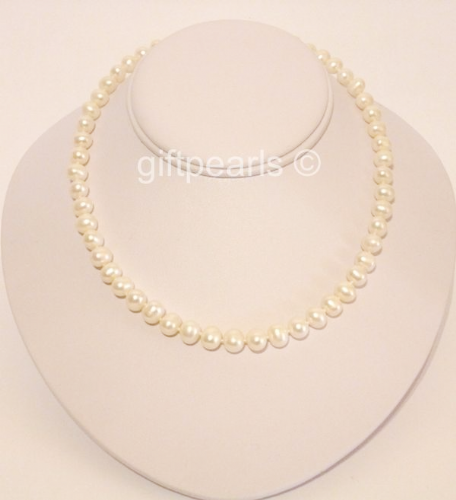 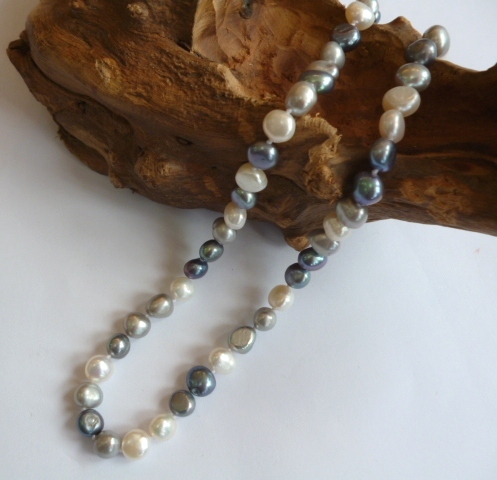 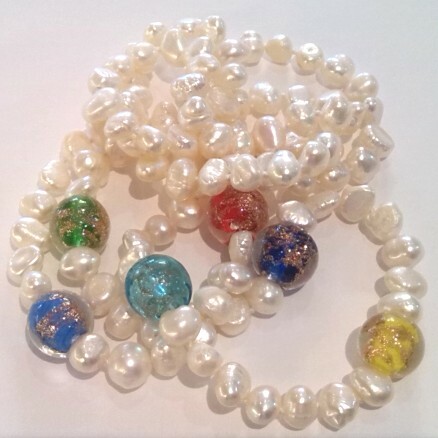 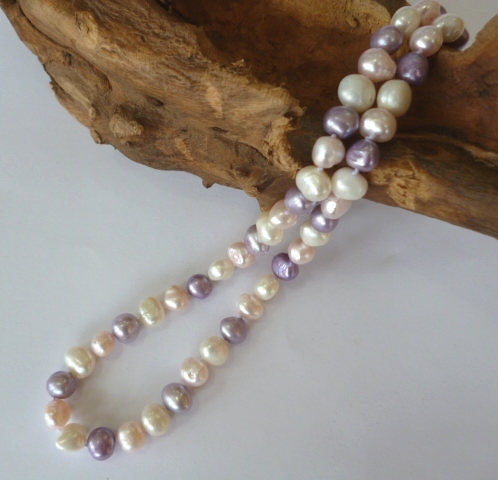 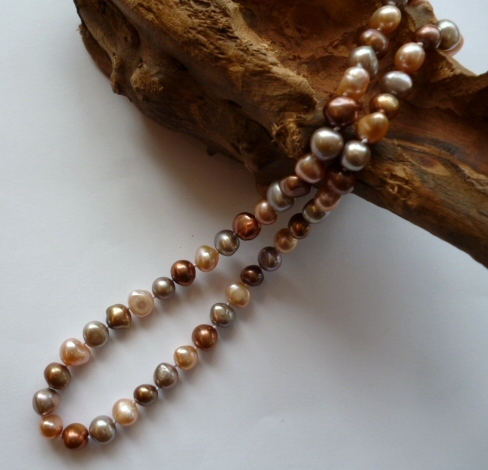 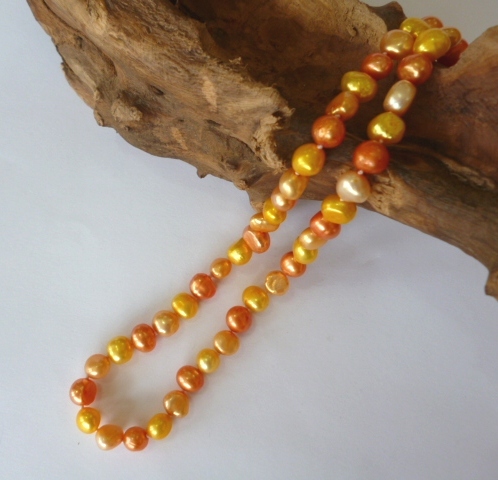 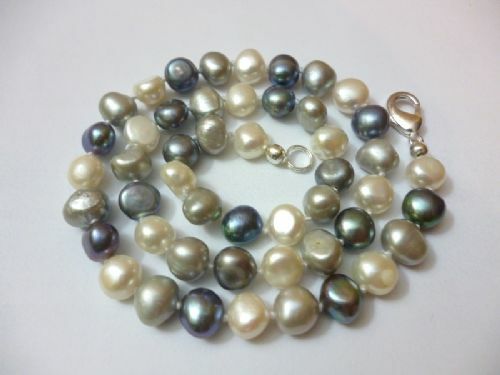 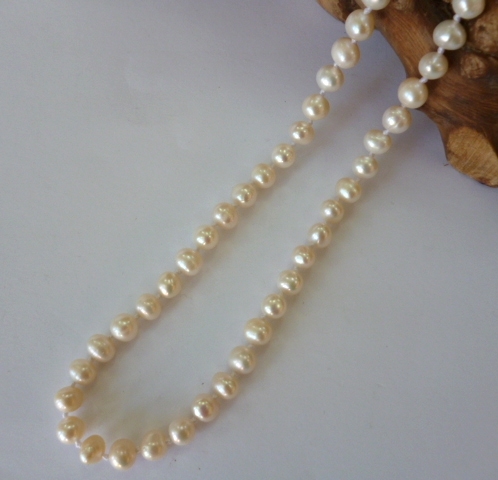 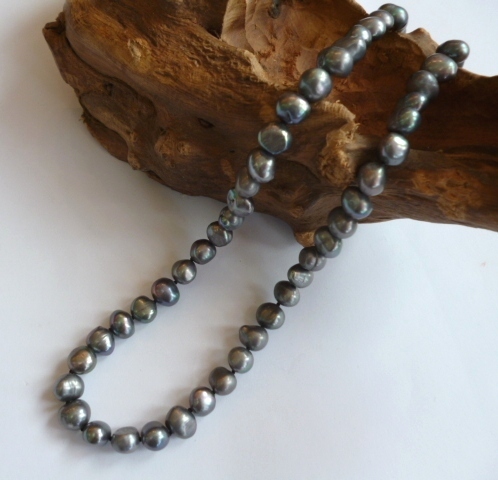 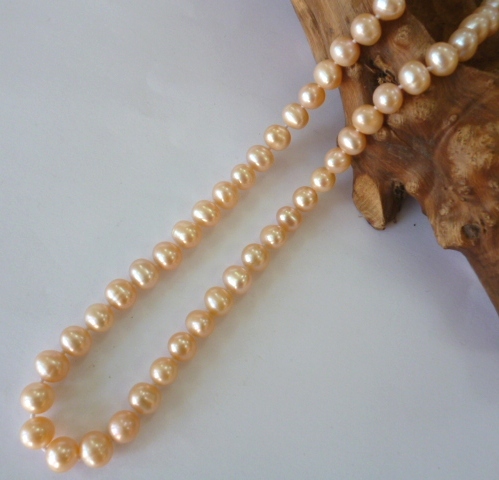 Genuine Pearls - Genuine Value for Your Money! 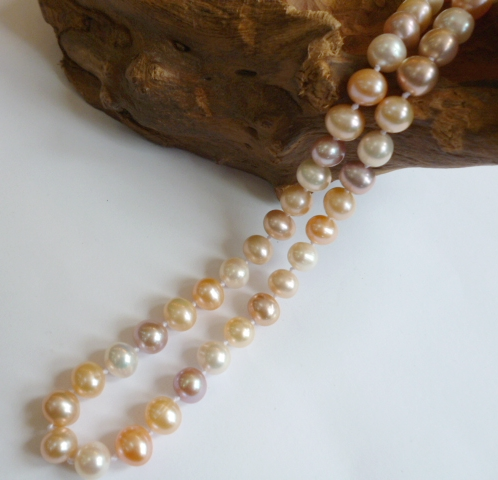 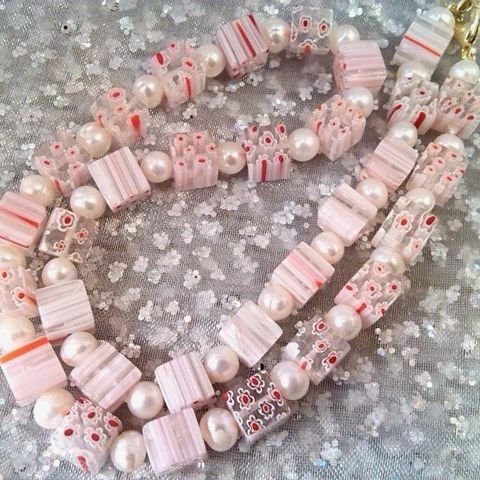 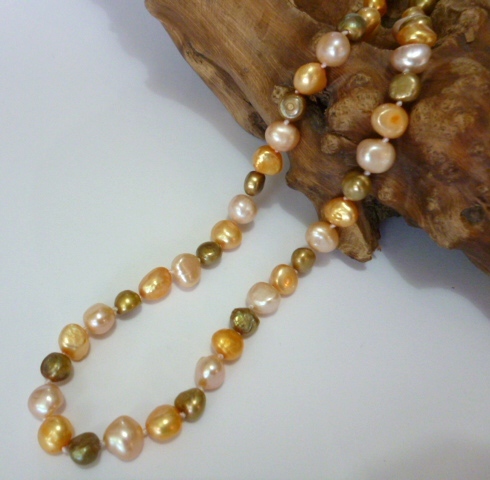 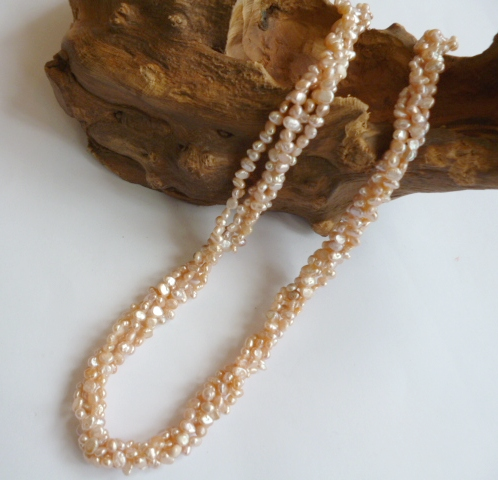 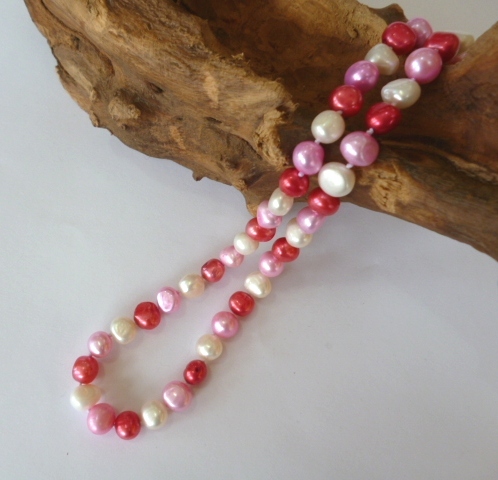 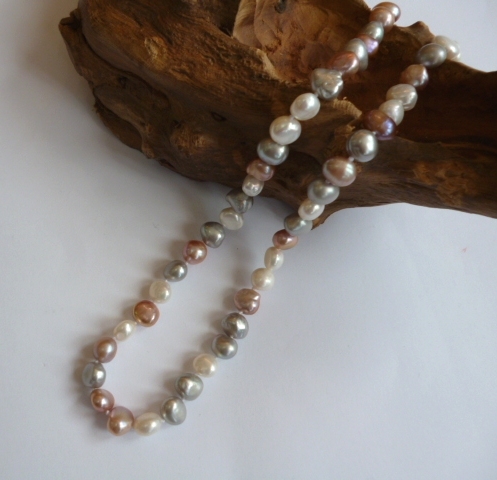 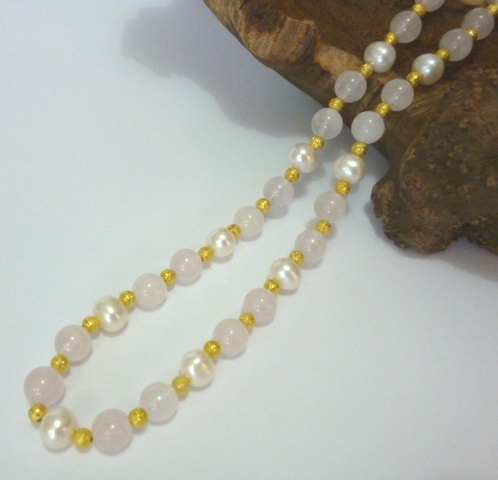 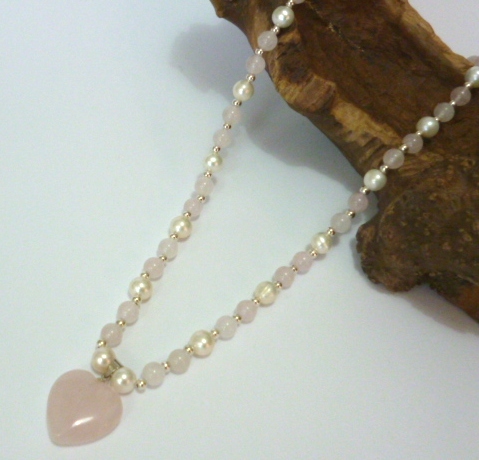 A 'Chunky' necklace of tiny Peach-Pink Pearls. 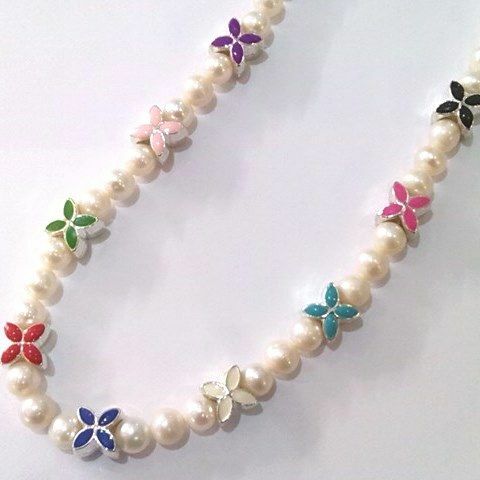 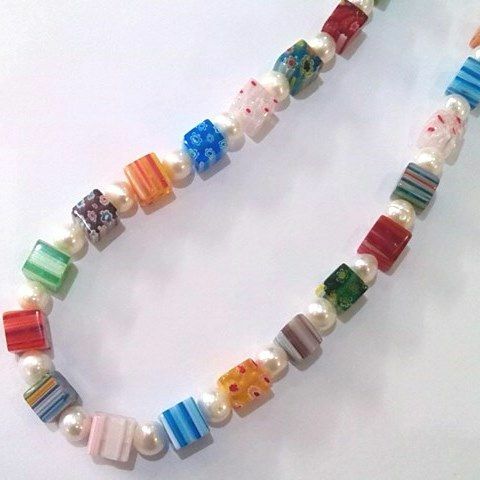 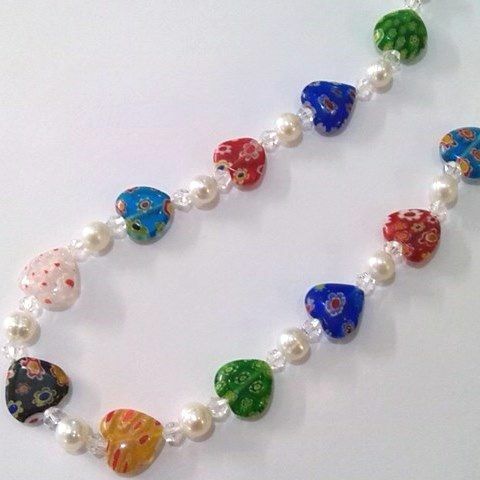 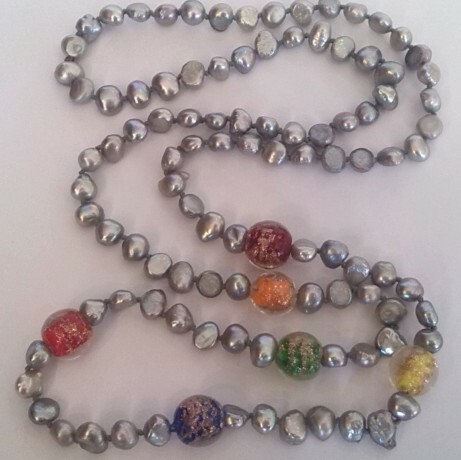 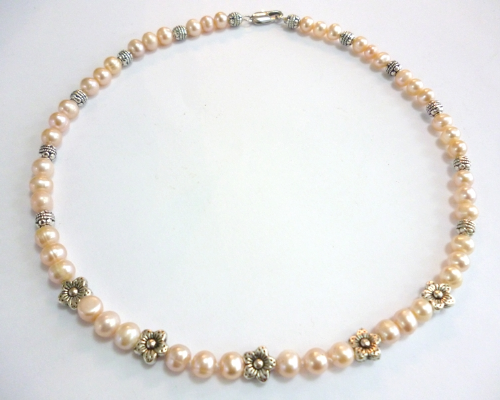 Necklace of White Pearls with Silver Flower Charm Beads. 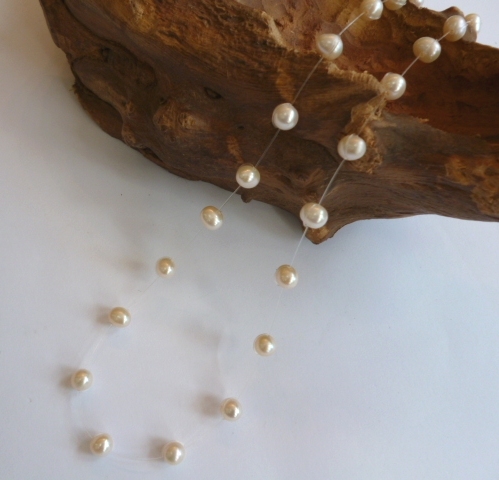 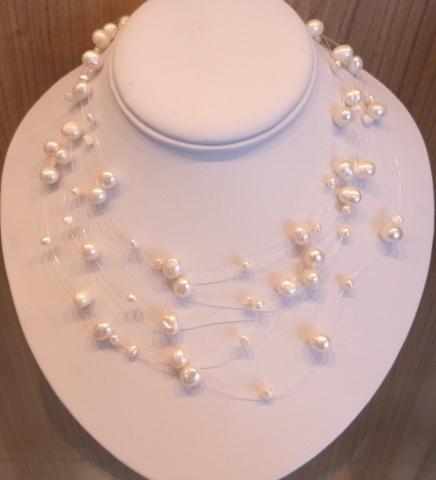 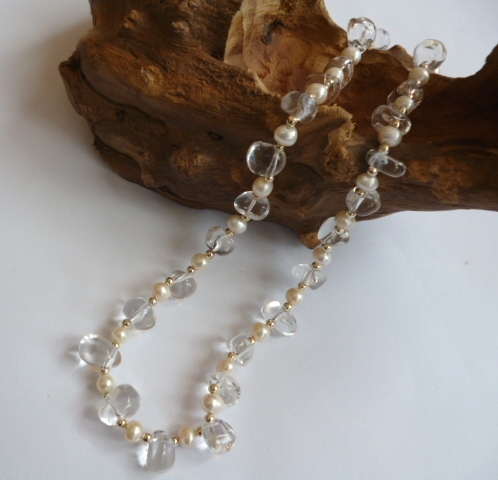 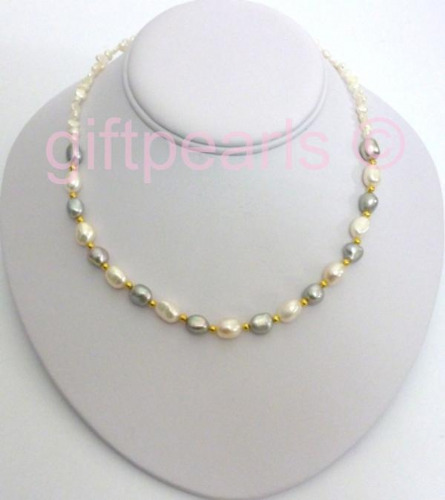 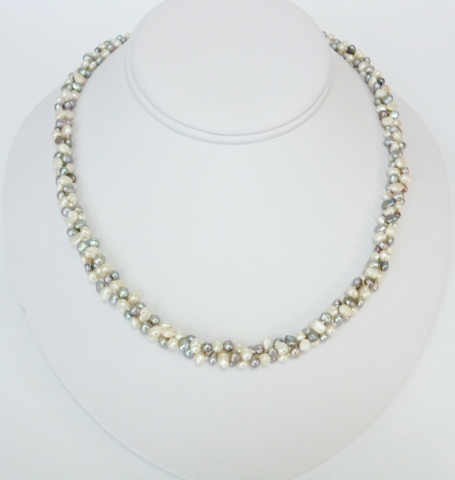 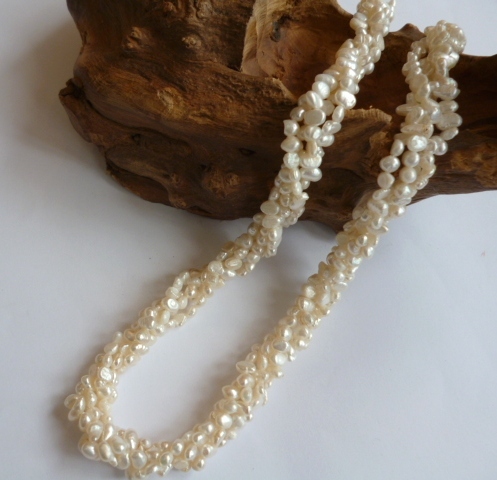 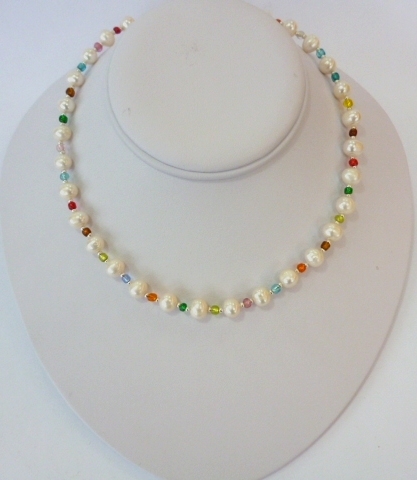 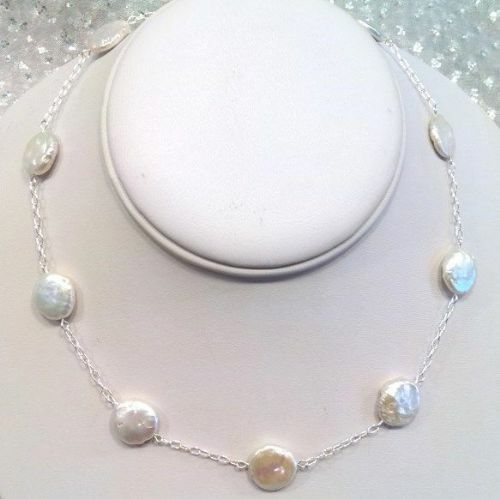 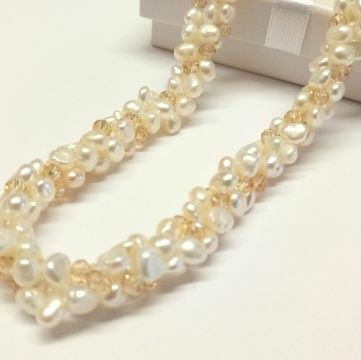 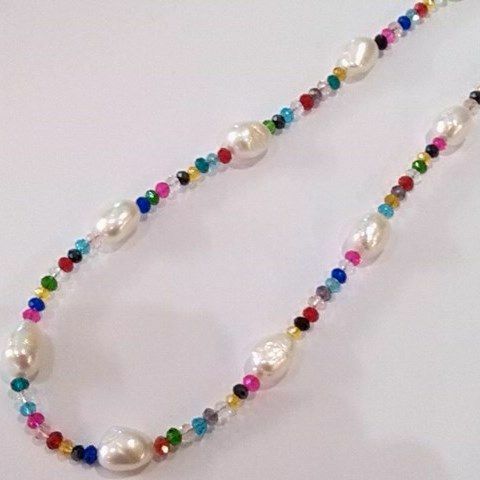 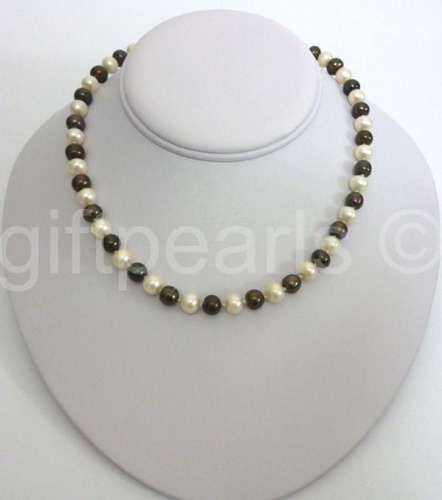 Gleaming White pearl 5-strand 'ILLUSION' necklace. 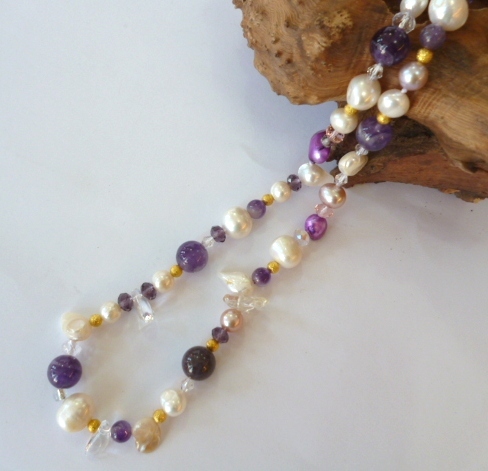 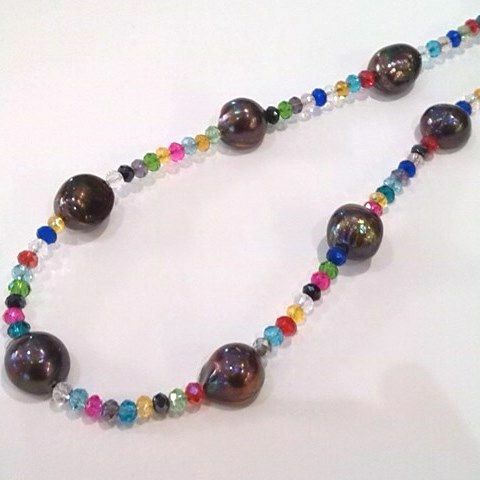 Pearl, Amethyst and Crystal necklace 20"
Multi-colour Baroque Pearl Necklace 24"
Baroque pearls on a multi-coloured crystal necklace. 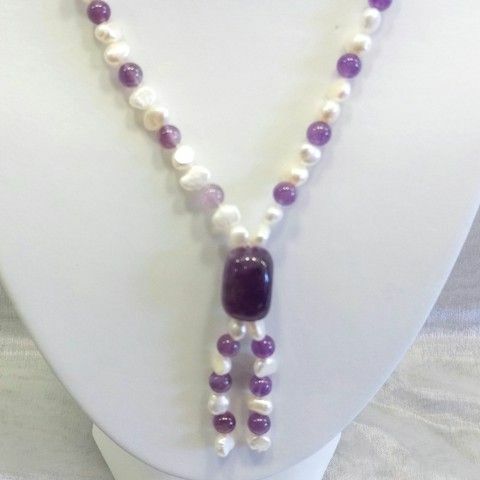 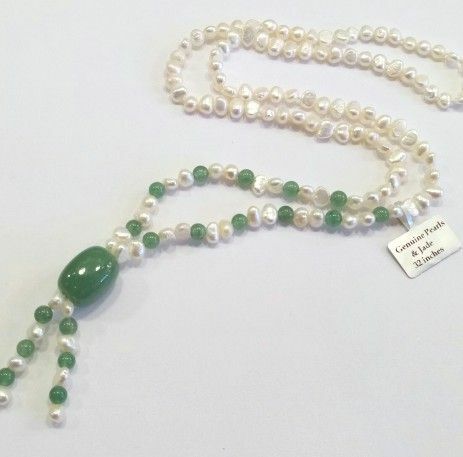 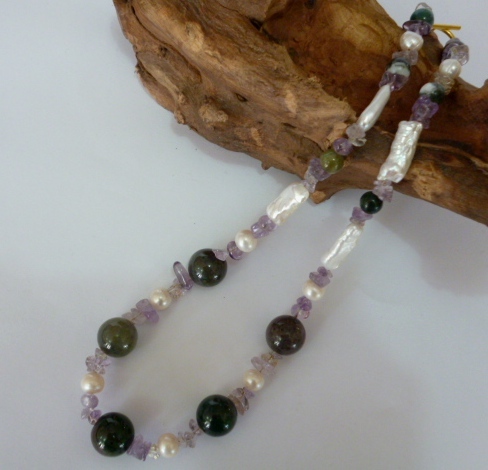 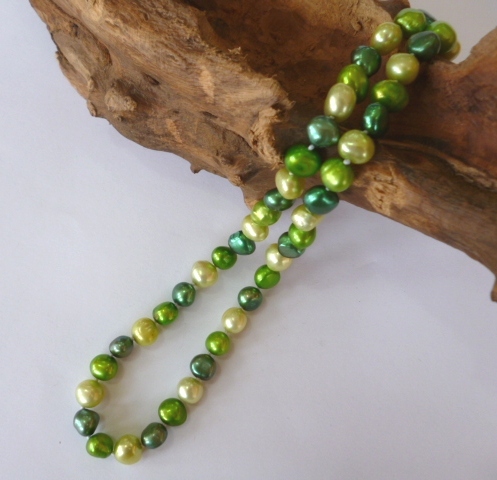 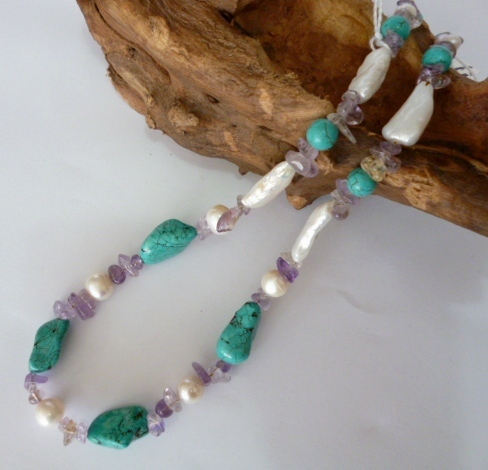 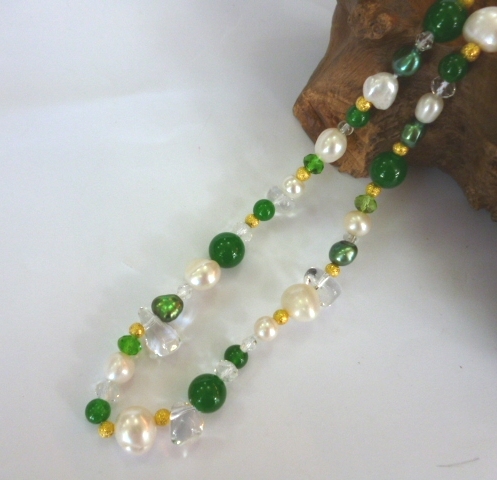 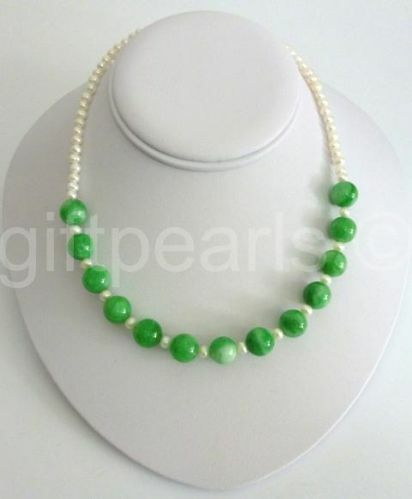 Pearl, Jade and Crystal necklace. 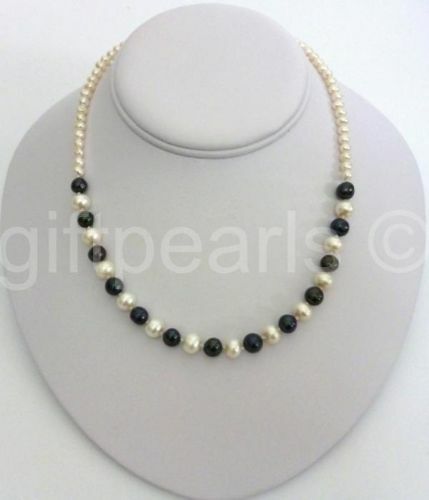 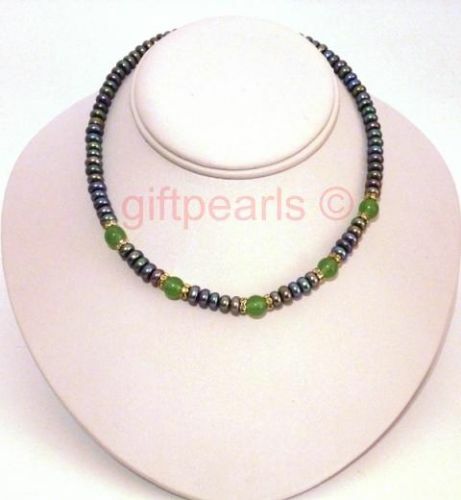 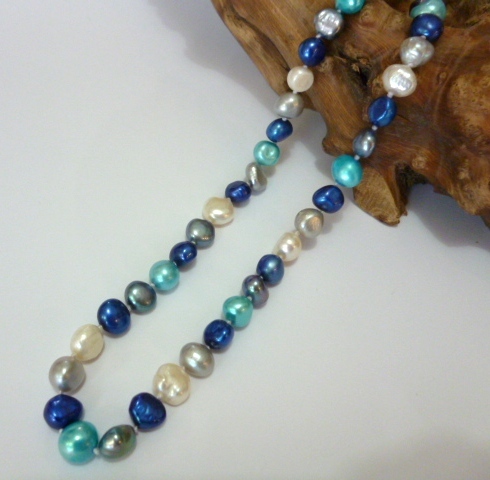 Blue/grey/black 'metallic' pearls with jade and crystal features. 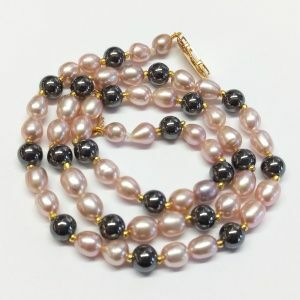 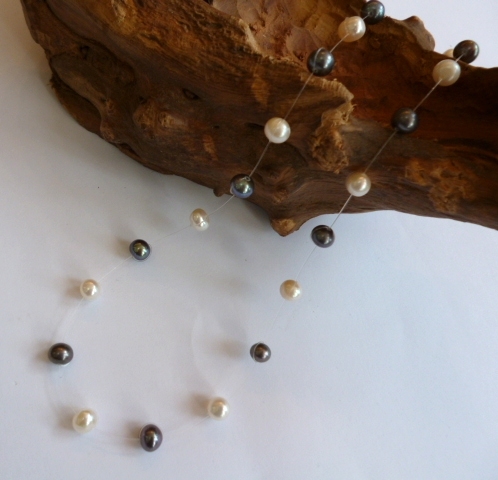 Black, White and Grey (Tuxedo) Baroque Pearls.